to have a healthy smile. 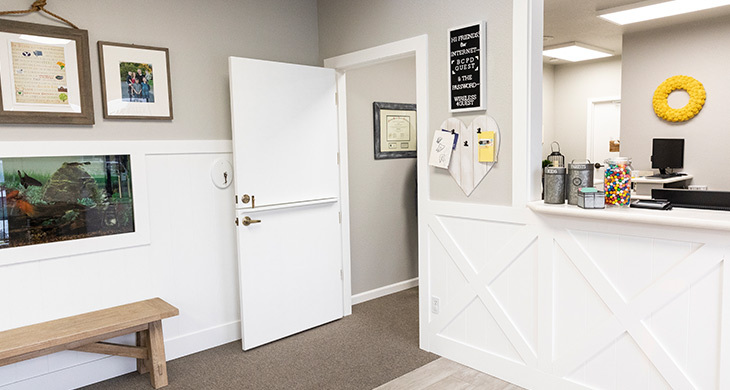 Our dental team is dedicated to providing exceptional dental care and making sure that your child feels happy and comfortable during the process. We provide care anywhere from simple checkups to crowns, fillings, extractions, sealants and general preventative care. Our staff is happy to sit down with you and explain our process in further detail! 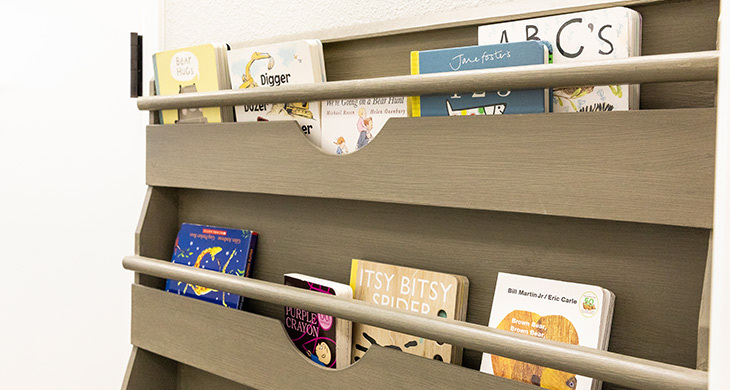 We understand that the thought of the dentist can be a little uncomfortable for some children...and for you as a parent too! 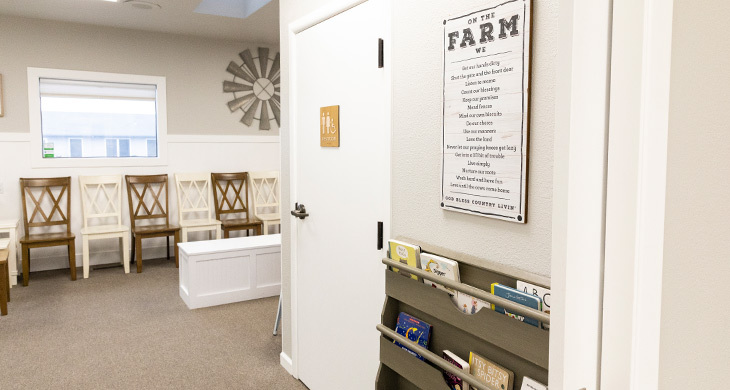 It is our goal to help you and your kids feel at home. 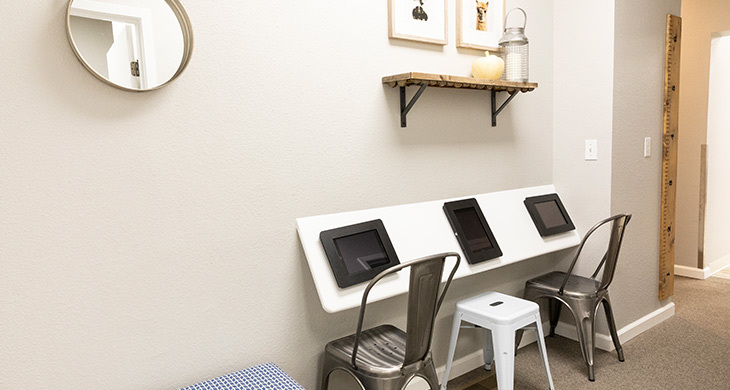 Our kid-friendly office will help ease anxieties with ipads while you wait, Tv's on the ceiling during treatment, a prize tower at the end of the visit, and more! Dr. Dixon chose to specialize in kids’ dental care after completing his four years of dental school. Pediatric dentistry requires a two year residency program accredited by the American Academy of Pediatric Dentistry. 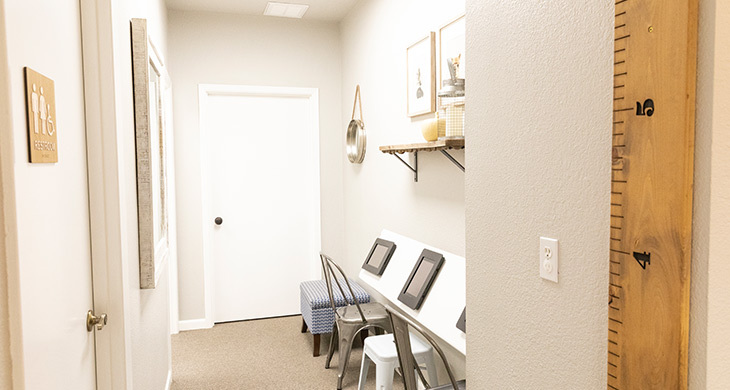 This residency equipped Dr. Dixon with extensive training in behavior management, sedation dentistry, hospital dentistry, orthodontics and growth and development. 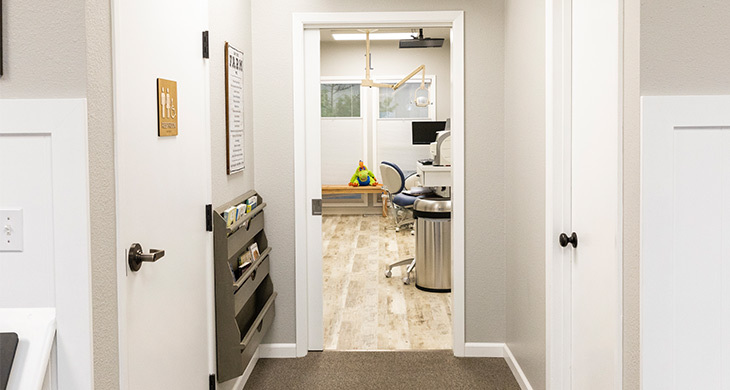 Our Medford pediatric dental office uses only the most up-to-date and thorough methods to treat pediatric dental problems. 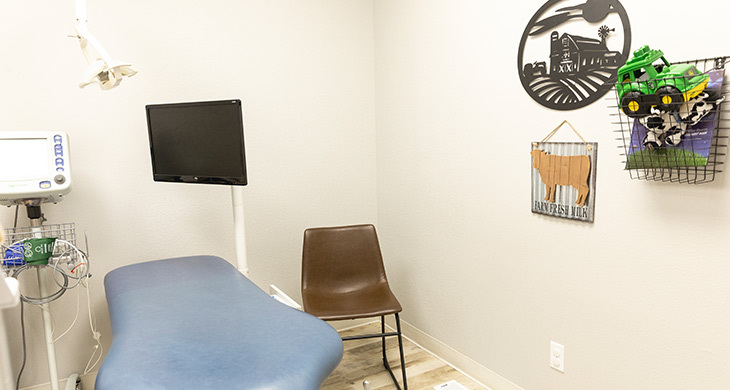 Dr. Dixon was born in Redding, California and raised in the Seattle area. He went to Brigham Young University in Utah where he received a degree in biology. He attended dental school in Cleveland, Ohio at Case Western Reserve University, where he graduated with honors. He then went on to receive two years of specialty training in Pediatric Dentistry at the University of Florida where he was the Chief Resident his final year. 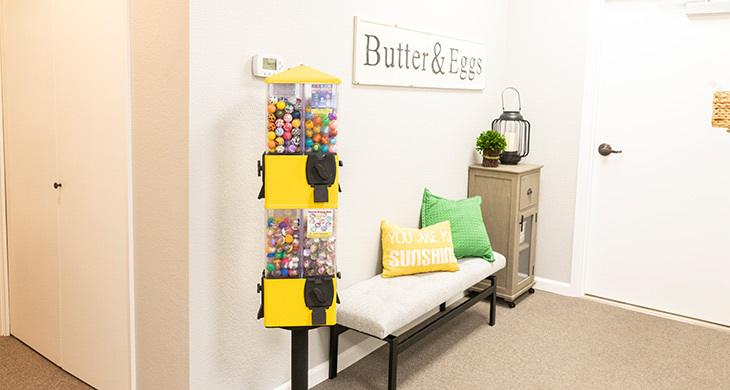 He became proficient in the current practices and techniques that enable children to have a positive and comfortable experience at the dentist and develop lifelong habits to be cavity free. 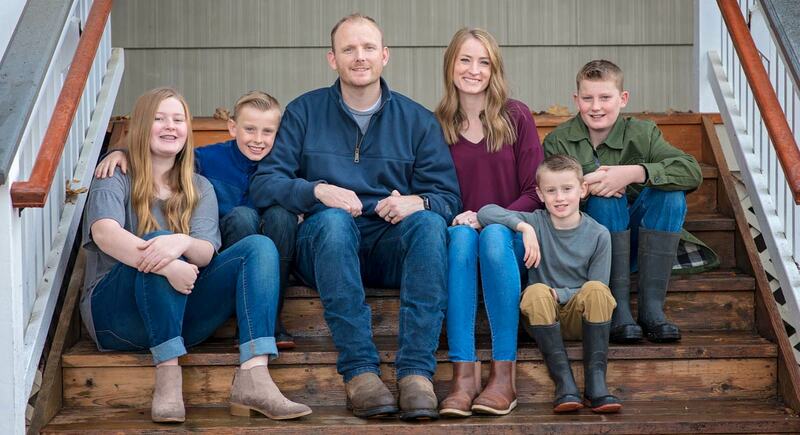 Dr. Dixon loves to spend time with his wife Elise, and their four children. They enjoy just about anything outdoors: running, biking, swimming, hiking, fishing, and working in the garden. 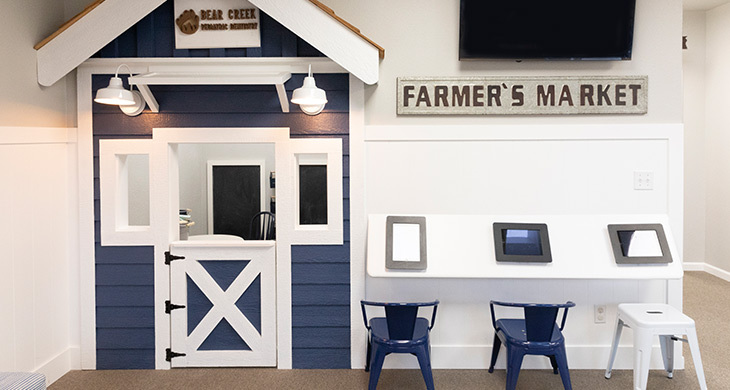 If you live in the Medford area and need a gentle and approachable pediatric dentist, contact the staff at Bear Creek Pediatric Dentistry. 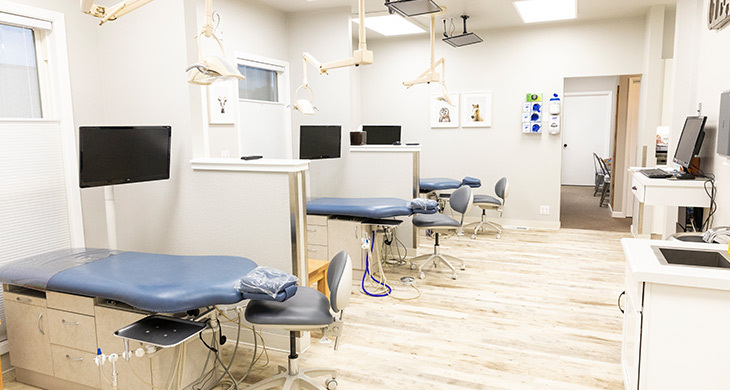 Our dental team is dedicated to providing exceptional dental care and making sure that your child feels happy and comfortable during the process. My kids all love going to the dentist here. Dr. Dixon is warm and friendly and I completely trust his ability and judgement regarding my 4 kids teeth. I personally use fluoride, but if you don't, this office will not push it or shame you. The office is clean and nice and all the staff are incredibly friendly and professional. The office is so warm and welcoming as soon as you walk through the door. The staff is very comforting, I couldn't imagine taking my son anywhere else! Amazing dental experience for my 7 year old son. Highly recommend! Great with my kids, very gentle and nice. Highly recommend! Your child's smile is one of a kind. 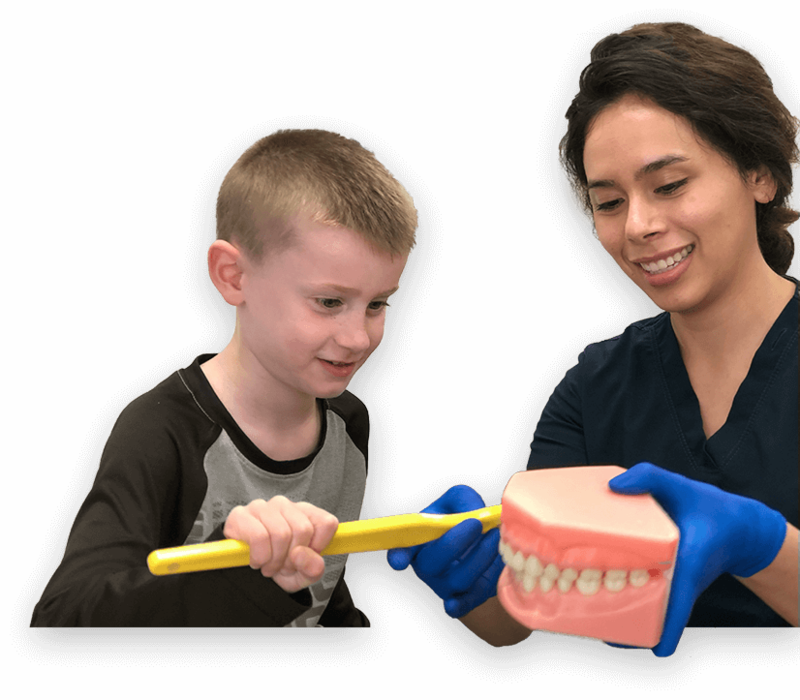 Let us know if we can ever help answer any questions you may have about your child's dental health. 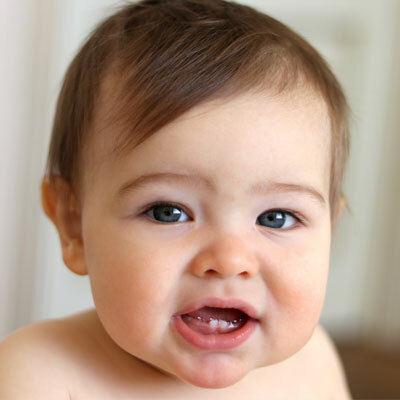 ▸ Are baby teeth really that important to my child? Yes! They help children speak clearly and chew naturally. They also aid in forming the right path for the permanent teeth to follow when they’re ready to come in. ▸ Toothpaste? When, What, and How much? Start using Fluoride toothpaste as soon as the teeth start erupting. The amount depends on the child’s age—a grain of rice for toddlers, and pea size amount for older children. ▸ What is the best kind of toothbrush for children? One with a small head and soft nylon bristles. When they come in for their cleanings, we send one home with you! ▸ How often should I take my child to the dentist? ▸ When should children start flossing? When the teeth are too close together for a toothbrush to reach in between. Kids will need help flossing until they’re old enough to do it on their own, usually around 8 years old. ▸ Do you take my insurance? Dr. Dixon is in an in network provider for most of the major insurances in our area, call our office to double check on yours. ▸ Are you available for emergencies? Yes, call our office and we will get you in. If it’s after office hours, there will be a phone number for you to call and leave a message and Dr. Dixon will get back to you as soon as possible. The best time to see a Pediatric Dentist is now! 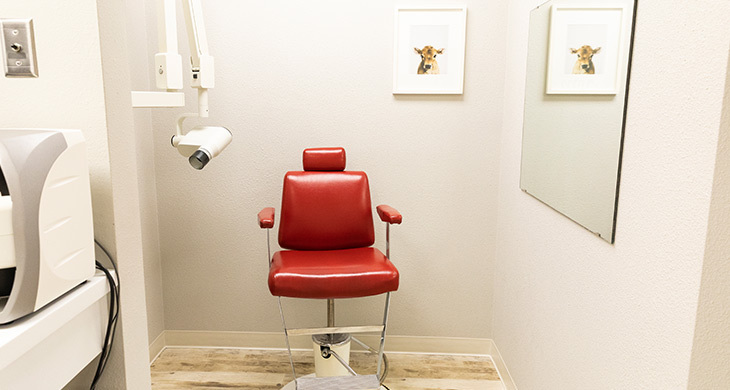 Our goal is to drastically decrease the possibilites of cavities, gum desease, unexpeted tooth loss, and expensive dental visits in the future by scheduling routine checkups. This way, it’s one less thing to worry about regarding your child’s health and well-being. The best time to get your kids on a healthy path is now! Schedule an appontment today. We have several Spanish speakers on our team and we can help with any of your scheduling questions. We'll get you in as soon as possible, and we're diligent about keeping up with our cancelation list if we can manage to get you in sooner. Then just sit back, enjoy the ipads, toys, tv shows and the hospitality of our amazing team! We're looking forward to seeing you and your child! 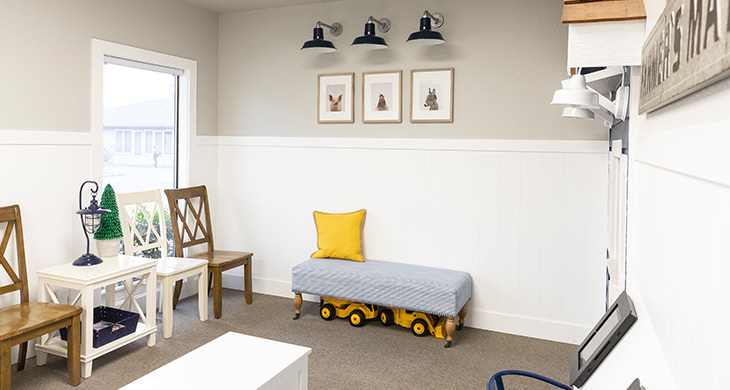 At Bear Creek Pediatric Dentistry, we understand that your children are not just small adults. 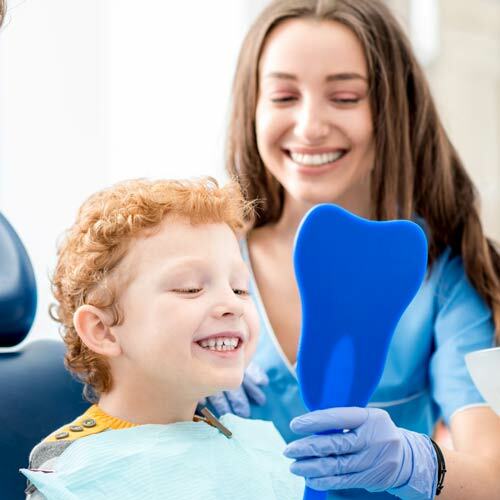 There are techniques and practices that apply to pediatric dental care to make sure your child is as comfortable as possible during the visit. 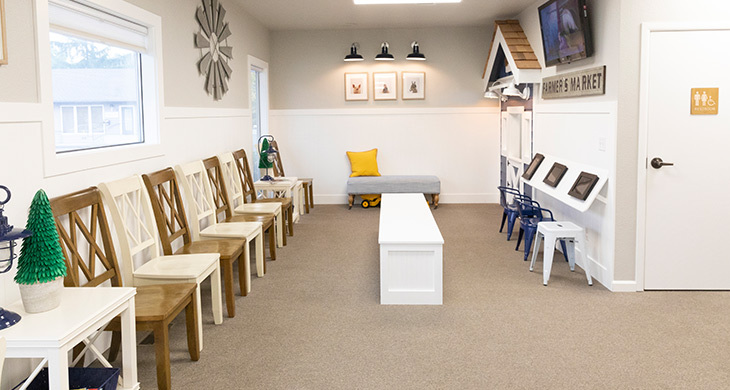 Our excellent staff is trained to make your child’s visit as pleasant as possible. 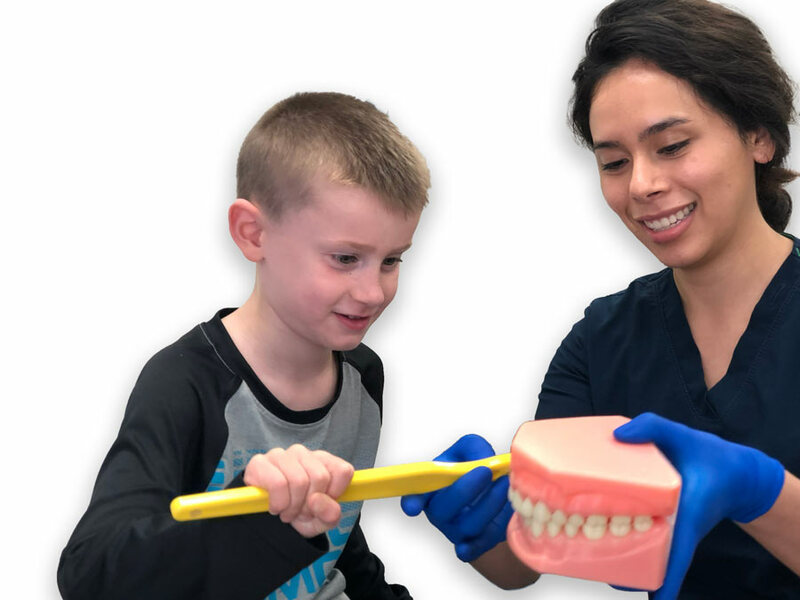 Dr. Dixon is trained and has a lot of experience with the particular needs of children so he is highly qualified to treat your child’s preventative pediatric dentistry needs. 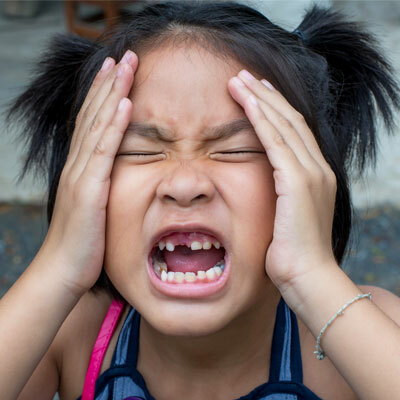 Toothache Remedies: Toothaches may seem harmless, but they may be signs of a real problem. The teeth can start to decay if you leave a bad toothache untreated. 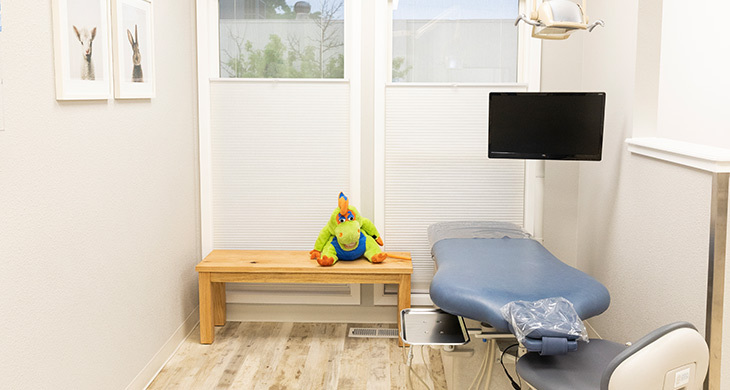 If your little one is feeling any pain or discomfort, contact Bear Creek Pediatric Dentistry right away. 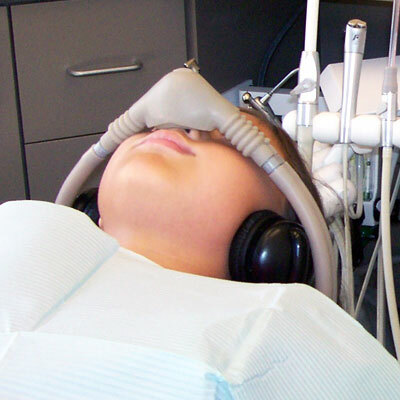 The dental practice of Dr. Dixon is highly trained in pediatric sedation dentistry. We use the highest quality, most modern treatments and safest dental sedatives on the market to ensure that our patients feel secure. 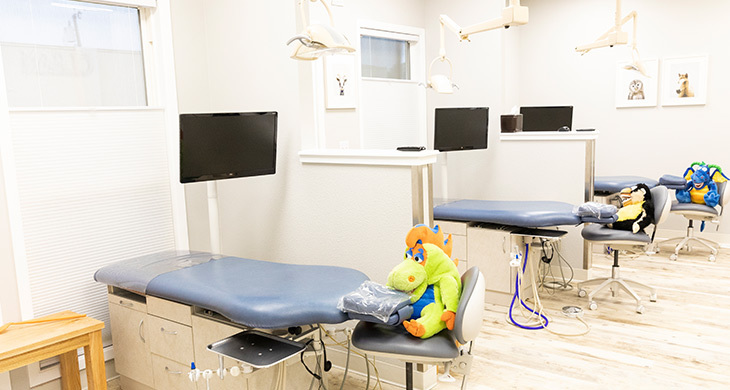 We guarantee that dental sedation at Bear Creek Pediatric Dentistry will give your child the best, least troublesome experience.